Now there’s an introduction to a new band that makes you sit up and take notice! Alizarin is an instrumental instrumental progressive rock trio from Los Angeles consisting of guitarist Josh Kay, drummer Jon Damon and bass player Stephen Ostaszewski, three musicians who want to take the unconventional route and they released their debut album ‘Cast Zenith’ on July 20th. It’s a collection of seven tracks that takes you on a whistle-stop tour of musical styles and tends to defy the usual conventions. Opening song Faint Home sees Josh’s compelling guitar deliver a serious overtone, quite a melodramatic piece of music that lingers in the mind long after. 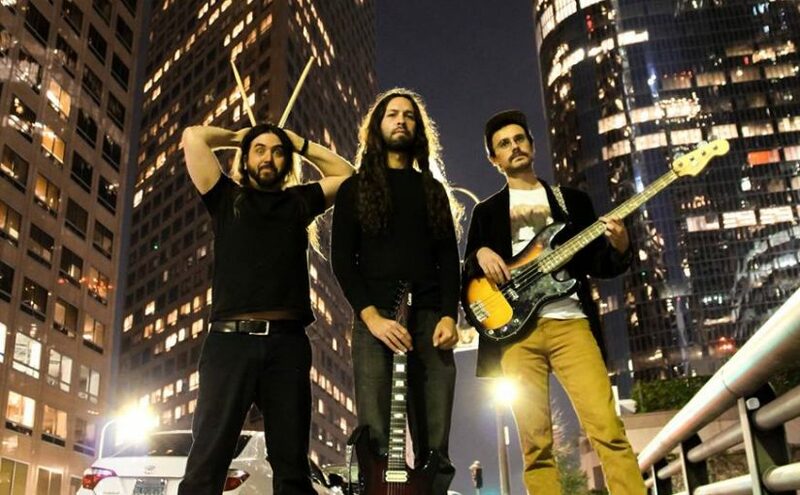 There’s precision, skill and style to these excellent musicians and that is delivered in spades on the explosive and captivating Anomaly, a track that wears it’s Satriani/Vai influences proudly on its multi-coloured and flared sleeves. The Vast Enigma opens as almost a soundtrack to an 8-bit computer games from the 80’s before blossoming into a powerful and funky song that has a mysterious undertone to it. The contrast in style to the laid back and jazzy The Window Afar is very pronounced, lost in the lazy, hazy days of a hot summer without a care in the world, this elegant piece of music takes the relaxed route to your musical sensibilities. The drama returns with title track Cast Zenith, dark and overtly dramatic in its delivery and with a nod to the intricacies of King Crimson as Josh, Jon and Stephen show us their musical chops. A headrushing eight minute musical adventure that never lets up and leaves you laughing at the sheer madness of it all. Like ying and yang, the calmness returns with the delicate and supremely elegant Gethsemane, an ode to Josh’s classical guitar skills. Every good thing must come to an end and this entertaining debut album closes with the near ten minute splendour of Luminous Apparition. Opening with sombre, reverent and hushed tones that draw the listener in to what feels like a musical take on a dystopian tale. ‘Cast Zenith’ is music that has intelligence and depth, music that takes the listener on an involving journey. This is a great start from this impressive trio and one which promises much for the future, Alizarin are a band that we definitely need to keep an eye on. 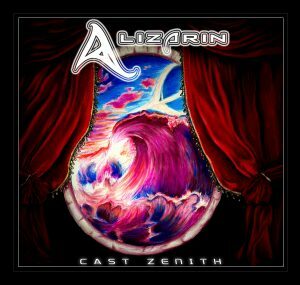 LOS ANGELES, CA – June, 2018 – Progressive rock trio Alizarin, featuring Josh Kay on guitar, Jon Damon on drums, and Steve Ostaszewski on bass, have announced their debut album ‘Cast Zenith’ and revealed the cover art, along with the track listing. The album is set to be released June 27th, 2018 in both CD and digital formats. ‘Cast Zenith’ was tracked both at Big Scary Tree Studios in Sunland, CA and at the Alizarin home studio in May, 2018. 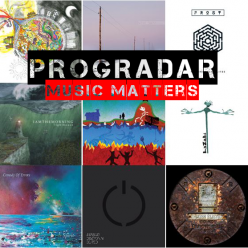 The seven tracks cover a wide spectrum of instrumental sonic landscapes and emphasize the melodic journey over intense technique (though the album does offer plenty of head-imploding technical jargon for the speed fiends). Consider if King Crimson and Opeth had a baby but were forced to raise it outside the city, due to an overabundance of djentrification. 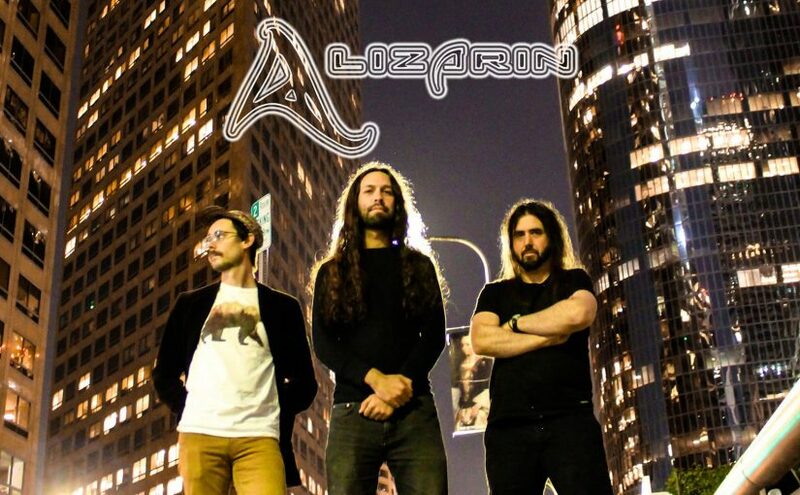 This may be a place to start but Alizarin is a group that strives to create compelling music that defies rock conventions. Band picture by April Jones.